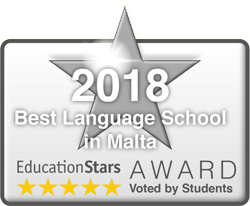 Maltalingua is very pleased to announce that for 2018 our English language school was voted by students as the best language school in Malta. The Swiss-based Education Stars survey was compiled from thousands of student feedbacks via social media and online education platforms giving Maltalingua an overall rating of 4.7/5 and a 98.83% quality and satisfaction score. Naturally, we are very thankful and humbled by such positive feedback - thank you! In 2018 the school updated our EAQUALS certification of Excellence in English Language Education. Since our previous inspection in 2014, our school was awarded 11 out of 12 points of excellence making us one of the highest internationally accredited language schools. We remain a small school with a big heart and we hope one day you choose us to improve your level of English. 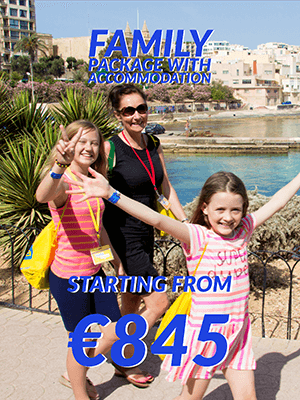 Visit Maltalingua and embark on one of life's truly unique experiences! "Hello everybody. My name is Hamed. I come from Mauritania.I'm really thankful to all the teachers and the staff who have been like my family over these months. I can't really express how sad I am to leave this amazing place. I've learned so many things, not just about English, but about life and culture and so on." "Hi I'm Bartek and I came here from Poland. This is a very good school. The school has very good, professional teachers. If you want to come alone, you really can. There are a lot of parties, events and trips organised by the school. You will be immersed in the English language all the time." "Hi, I'm Rabea, I'm 24 years old and I'm from Germany. The school offers a lot of activities. I think that this really helps to integrate the group. For example, we went to Valletta yesterday and today we are going for wine tasting with a lot of people. It is a great opportunity to learn English and to enjoy the summer." "Hi my name is Luca. I'm from Germany. I started at level B1+ and now my level is C1. I'm very happy about it. I have enjoyed it. I would never have thought I would make this much of an improvement. I've always had the feeling that everybody is taking care of me so, I could concentrate and work on my weakness." "Hey, my name is Louisa. I'm from Poland. 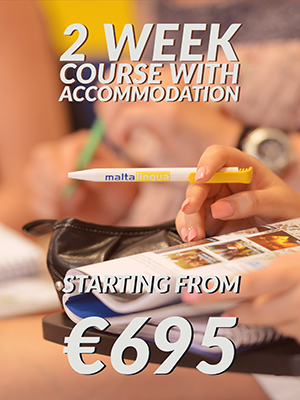 I came to Malta to do a two-week Intensive English course and learn at the school Maltalingua. What I like the most at Maltalingua is the very high standards. The teachers are cool. I met people from all over the world. There is also a fun and friendly atmosphere at the school." Book your English course for August or September & save 10%. Only limited spaces available. 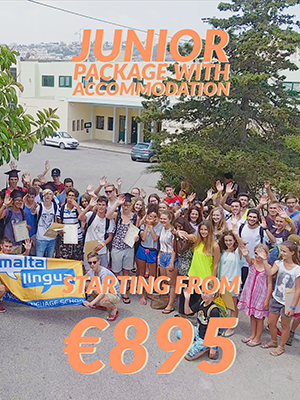 Maltalingua only has a limited amount of spaces left throughout August. Book your course now to secure your place and avoid disappointment. 2 complimentary course weeks when booking a course 10 weeks or longer. 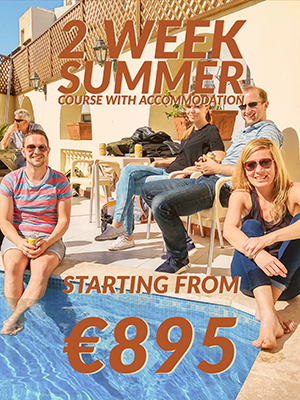 4 complimentary course weeks when booking a course 20 weeks or longer.